If you drive a Q7 around various neighborhoods and business districts in Morton Grove, many people will notice the vehicle's stylish features. This automobile commands attention as it has appealing exterior elements and elegant interior options. Outside this vehicle, there is a heavy-duty grille that has the iconic Audi logo. Next to the logo, you'll find two LED headlights, which produce bright, vibrant beams during the night. Inside the car, the highlight design element is the upholstery. It's constructed out of a light brown leather material, and the paddled underneath is secured with professional stitching. 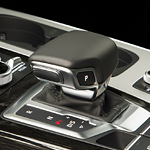 Leather is also featured on the shift stick and on the platform that secures the shift stick on the floor. Audi Morton Grove has this particular Audi automobile for sale, and all of these features are included. The Audi Q7 is worth buying because it has many other features that appeal to automotive enthusiasts who have a bold sense of style.